House Bill 431: Allows for automatic expungement of charges for which an individual is acquitted, charges that are dismissed with prejudice, and misdemeanor convictions after a certain number of years; requires the court to actively identify records eligible for automatic expungement and facilitate the process. House Bill 318: Provides that the least restrictive restraints are to be used on a pregnant inmate; requires that a correctional staff member individually review an inmate's situation before allowing restraints to be used on an inmate during labor, delivery, and postpartum recovery; and prohibits the use of shackles or other restraints during labor and delivery. Reforms intended to keep nonviolent offenders out of Utah’s prisons have led to a 12% drop in prison population, but shifted many people with addiction into county jails that currently lack drug-treatment programs. A new report from the Utah Foundation examined the state’s treatment and rehabilitation programs, and found significant savings to taxpayers in the long term, but underscored the need to expand access to pre-booking diversion and treatment programs in county jails. Salt Lake City’s veterans court, now in its third year, allows servicemen and women to have their convictions cleared or reduced after successfully completing a program tailored to their needs and experiences. Participants meet with judges and case managers, complete recommended mental health or addiction treatment programs, and are matched with mentors who also served in the military. Most of the program’s participants served in Iraq and Afghanistan. A new report from the Urban Institute looks at five states that have reclassified drug possession from a felony to a misdemeanor and makes recommendations for other states looking toward reform. Utah’s prison population has declined 9% since HB 348 was enacted, driven in part by a 74% drop in new commitments for drug possession. The number of people in prison for drug possession in Connecticut has declined by 74%, and the Department of Corrections projects cost savings of $9.8 million in fiscal 2017. In addition to reclassification, the report recommends investment in substance abuse treatment and behavioral health programs. Cache Achieve, a diversion program created by officials in Utah’s Cache County, allows people accused of low-level offenses to pursue education and job-training rather than being sentenced to jail time. Qualified defendants must complete a program at Bridgerland Technical College, and maintain an 80% attendance rate and a B average. Upon successful completion of the program, charges may be dismissed. Thirteen people completed the program in 2017, saving the county an estimated $50,000. As they deal with prison overcrowding and the prospect of $500 million in prison expansions, Idaho officials are looking to Utah as a model of criminal justice reform. Utah reformed drug laws and invested in substance abuse treatment programs, and saw a decline in the prison population and the rate of crime. Idaho law currently allows a sentence of up to seven years in prison for the first-time possession of illegal drugs in any amount, and 49 percent of newly sentenced inmates in the past year were imprisoned for drug crimes. Salt Lake County District Attorney Sim Gill called for reforms to the state’s probation and parole systems, including offering early discharge for those who follow the program, and limiting supervision fees. James Hudspeth, the Director of Utah Adult Probation and Parole, agreed that some reforms are necessary, and cited large caseloads and a need to better prepare individuals for release. 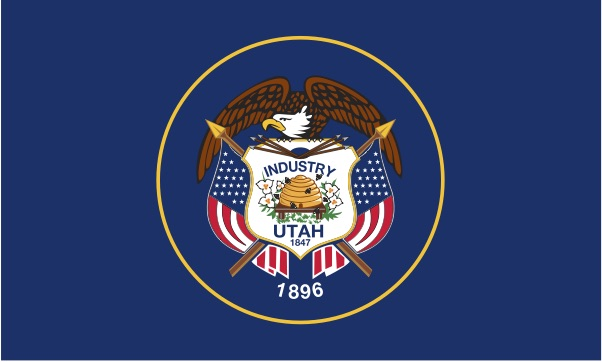 Utah’s Justice Reinvestment Initiative’s Annual Report found that reforms had reduced the projected prison population by 18% while focusing on more serious and violent offenders, held offenders accountable through community supervision, and expanded mental health and substance abuse treatments to historically high levels. Heading into the upcoming legislative sessions, Kentucky’s CJPAC Justice Reinvestment Work Group recommended 22 data-driven policy recommendations that would avert 79% of projected prison population growth and save nearly $340 million over the next ten years. The Alabama Juvenile Justice Task Force reached consensus on 48 policy recommendations to promote safety and accountability, control costs and improve outcomes.